Dear husband has been gone on a rather long business trip to China, and won't be home for a few more days. 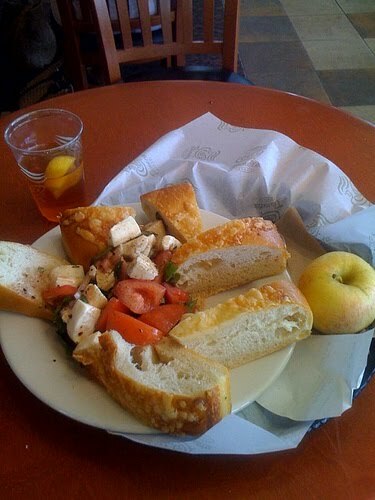 In his absence, I've developed a new love: Panera's Tomato, Basil and Mozzeralla Salad. Yum, yum, yum.